Carnival Splendor to Relocate to Miami Starting November 2014. 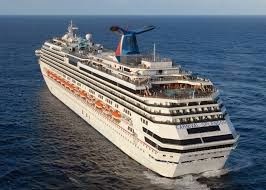 Carnival Cruises has announced that the Carnival Splendor will relocate to Miami starting in November 2014. The decision to relocate is occurring after what appears to be a challenging winter season from New York. Currently Carnival is offering deep discounts on the winter sailings and relocating the ship to Miami next winter is more economical. Between now and November 2014, the Carnival Splendor will be sailing a series of Florida/ Bahamas; New England / Canada or Eastern Caribbean Cruises. It is unclear whether the Carnival Splendor will return to New York in the Spring of 2015. Norwegian Cruise Line's New Norwegian Getaway will debut in New York in January 2014. The ship which is currently under construction in Papenburg, Germany will sail from Southampton, England to New York on a 10-day Transatlantic cruise on January 16th. Arriving in New York on January 26th. 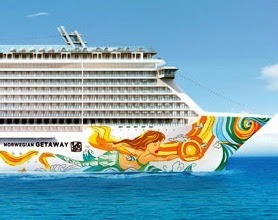 The Norwegian Getaway will be on charter to Budweiser for the 2014 Super bowl. After the Super bowl is over, Norwegian Cruise Line is marketing a 2-day cruise from New York to Nassau (where the cruise ends) on February 3rd. The ship will then sail year-round from Miami. Norwegian Cruise Line's Private Island to Have Bacardi's Rum Bar. Bacardi Rum Bar on Norwegian Cruise Line's Private Island - Great Stirrup Cay. Norwegian Cruise Line announced today that the Bacardi Bar, a first of its kind rum bar, opened yesterday on Great Stirrup Cay, the line’s private island in the Bahamas. 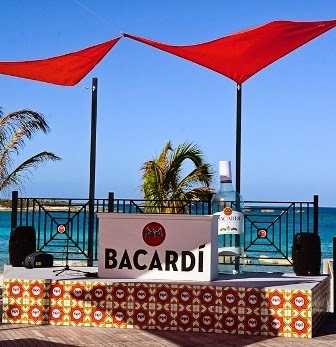 The Bacardi Bar on Great Stirrup Cay offers guests the opportunity to relax at a spectacular beach bar venue and experience Bacardi’s range of exceptional rums at the beverage company’s first permanent Bacardi Bar location in the Caribbean. The Bacardi Bar on Great Stirrup Cay celebrated its grand opening yesterday during Norwegian Pearl’s visit to the island. Guests sailing on board Norwegian Pearl attended the bar’s opening festivities, which featured a live DJ set, exhibitions by two of Bacardi’s top mixologists, drink samples, giveaways and an exciting christening ceremony which featured a ceremonious Bacardi-bottle breaking. Inspired by Bacardi’s rich 150 year history and distinct Cuban heritage, Great Stirrup Cay’s Bacardi Bar and terrace feature the iconic Bacardi Bat logo, original Bacardi advertising artwork and Cuban-inspired fixtures including specially-designed tiles and shutters. Guests who visit the Bacardi Bar during their time on the island can experience some of Bacardi’s superior craft rums through superb freshly made cocktails such as the Cuba Libre and the Original Bacardi Mojito. In addition, the Bacardi Bar will feature a flight of Mojitos so that guests can sample some of Bacardi’s most popular Mojito creations. In addition to the wide range of specialty cocktails that are offered at the Bacardi Bar, guests who visit the bar each week will have a chance to experience exclusive events and entertainment, including live mixology, live DJ’s and a variety of interactive games. Norwegian was the first cruise line to offer an uninhabited tropical island experience exclusively for its guests. Norwegian’s 250-acre private island offers magnificent white sand beaches, majestic palms and calm, pristine waters where an abundance of colorful marine life inhabits the surrounding coral reefs. Activities on the island include snorkeling; Waverunner® tours; eco boat tours; kayaking; parasailing; shopping at the straw market; and more. Guests sailing on board Norwegian Pearl, Norwegian Breakaway and Norwegian Sky all have the opportunity to experience the Bacardi Bar during their upcoming cruises to the Bahamas. Norwegian Pearl offers seven-day cruises to the Western Caribbean from Miami. 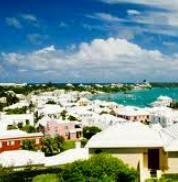 Ports of call include, Great Stirrup Cay, Bahamas; Ocho Rios, Jamaica; Georgetown, Grand Cayman; and Cozumel, Mexico. 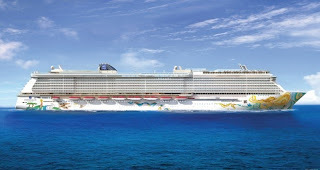 Norwegian Breakaway, the ship that brings the best of NYC to Sea, cruises from the Big Apple to the Bahamas & Florida, now through December 28, 2013, with ports of call including Port Canaveral (Orlando and the Beaches), Florida; Nassau and Great Stirrup Cay, Bahamas. Norwegian Sky sails year-round from Miami, offering a series of three and four-day cruises. Norwegian Sky visits Nassau and Great Stirrup Cay on her three-day cruise, the four-day itinerary also includes a visit to Grand Bahama Island. Please note that alcohol is not included in the price of the cruise and extra fees apply. Carnival Cruise Line Unveils Partnership with Dr. Seuss. Carnival Cruises and Dr. Seuss form partnership. One ship, two ships, it’s Dr. Seuss on cruise ships! Carnival Cruise Lines today unveiled an exclusive partnership with Dr. Seuss Enterprises to bring the beloved children’s brand and favorite characters to the line’s fleet of 24 “Fun Ships.” In an industry first, the Carnival Seuss at Sea program will offer a variety of exciting and immersive onboard youth, family, dining and entertainment experiences featuring the amazing world and words of Dr. Seuss. Every ship in the Carnival fleet will have a selection of classic Dr. Seuss books, toys and themed activities for children to enjoy. Special showings of beloved movies such as “The Cat in the Hat” and Dr. Seuss’s “How the Grinch Stole Christmas” will be shown outdoors on the giant screen of the Seaside Theater on Lido Deck as part of the cruise line’s Dive-In Movies programming. On Carnival Freedom, which is undergoing a major refurbishment in May, and Carnival Vista, which debuts in early 2016, there will be a Dr. Seuss Bookville facility -- a unique and dedicated Seuss-themed play space featuring iconic décor, colors, shapes and funky furniture inspired by the whimsical world of Dr. Seuss. The perfect place for families to relax, unwind and enjoy each other’s company, guests can read one of many available Dr. Seuss books or stretch their imagination through other family-fun activities including arts and crafts, toys and Dr. Seuss-inspired games. Roll-out of the Seuss at Sea program will begin aboard Carnival Splendor (which sails year-round from New York) in February 2014 with implementation across the full fleet by 2015, as well as Carnival Vista when that ship enters service in early 2016. Norwegian Cruise Line has added another element of luxury to the line’s array of exclusive suite amenities by introducing a new, first of its kind in the cruise industry “Bath Butler” menu, offering guests the opportunity to pamper themselves with one of the line’s signature baths, which are drawn by the suite guest’s dedicated certified butler. The butler baths are listed on an in-suite menu and available in all suites fleet wide, including those in the Haven by Norwegian, the line’s exclusive ship-within-in-a-ship suite complex. Norwegian’s Bath Butler Menu features seven different luxury bath packages, each inspired by one of Norwegian’s spectacular destinations. Every package also includes a tasty treat and refreshing beverage selection. Many of Norwegian’s suite bath tubs also have views of the ocean for an even more luxurious experience. For those guests wanting the ultimate in pampering, Norwegian’s signature drawn bath is the unparalleled Mediterranean Soak. For $499, guests will bask in the French verbena bubbles that surround them, as they block out the world with their eye mask while sipping on a glass of chilled Dom Perignon champagne, poured from the bottle that sits beside them. In addition, guests who indulge in the Mediterranean Soak will enjoy feasting on sturgeon caviar. Mexican Riviera Retreat, $99: Guests can ease into a siesta with a lime exfoliating body scrub with loofah. Then enjoy the perfect nightcap of a freshly made, all natural margarita with 100% agave tequila, premium triple orange liqueur and fresh squeezed limes. Caribbean Calm, $99: Guests will feel like they are in the tropics while enjoying a passion fruit bath gel with exfoliator gloves, topped off with a hand-muddled Mojito prepared with Bacardi Superior, fresh mint and hand pressed limes. Hawaiian Bloom, $99: Aloha! Guests will find their own tropical paradise by slipping into a plumeria milk bath with floating flowers and be treated to a coconut kiwi pineapple splash prepared with Bacardi Rock Coconut, pineapple juice, lemon lime soda with chunks of fresh pineapple and kiwi. Alaskan Plunge, $99: Guests will experience refreshing relaxation with pine bath salts and a back scratcher. After soaking, guests can enjoy a cold pitcher of strawberry lemonade with Stolichnaya vodka, fresh strawberries and hand pressed lemons. Great Island Oasis, $99: Guests will find they are in their own private oasis as they slip into a seaweed eucalyptus bath, complete with bath pillow and passion punch made with passion fruit liqueur, vodka, fresh fruit juices and sparkling wine. Wonder waterfall, $49: Bath time should be fun time for the kids. The perfect time for kids to splash around with kiwi fruit berry bath bombs. Then treat them to a yummy kid-friendly strawberry and banana smoothie. For more information, contact Norwegian Cruise Line, one of our advertisers or your travel professional.